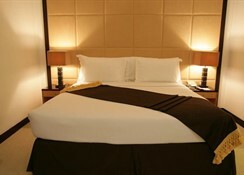 This hotel is located in the heart of Dubai's business and commercial hub- Bur Dubai. 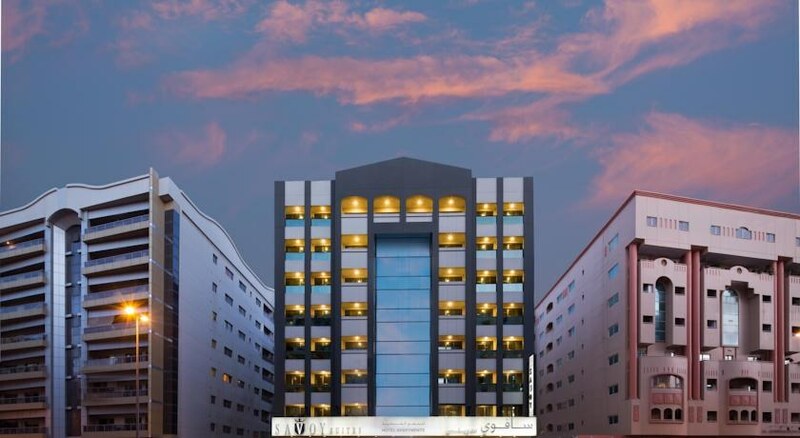 It provides guests with easy access to Bank Street- the Al Fahidi Street shopping district and the very popular BurJuman Center with its prestigious and upscale designer shops. 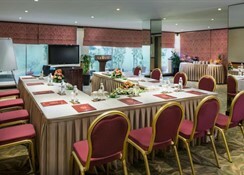 Its close proximity to the Dubai World Trade Centre and Dubai's International Exhibition Centre makes this property special.This city hotel offers a business centre- small banquetting facilities- conference/meeting rooms and express check-out as well as a coffee shop.The Studio and Deluxe suites come equipped with air conditioning and have a fully equipped kitchenette and dining area. All come with a private bathroom with a hairdryer. They are equipped with a direct dial telephone with international calling- an LCD TV with satellite channels and in-room movies- complimentary high-speed Internet access and a safe. The kitchenettes have a fridge- a microwave and tea and coffee making facilities. Furthermore- a washer/dryer- an ironing set and a balcony feature in all accommodation as standard. Guests can benefit from a daily newspaper and a daily housekeeping service.The recreational facilities on site include an outdoor temperature-controlled swimming pool and a health club with a sauna- a steam bath and a hot tub. 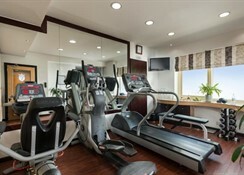 Whether visitors are looking to enjoy a quick jog or lift light weights- the gym offers an advanced range of equipment.This apartment hotel offers guests a buffet breakfast and international cuisine for lunch and dinner. Along with a restaurant, this aparthotel has an outdoor pool and a health club. Free WiFi in public areas and free self parking are also provided. Additionally, a coffee shop/café, a sauna, and a rooftop terrace are onsite. 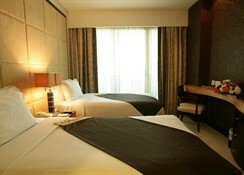 All 112 individually furnished apartments feature free WiFi and sofa beds. Guests will find kitchenettes with refrigerators, stovetops, and microwaves. 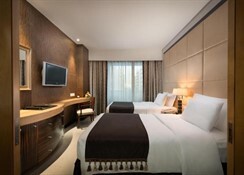 This family-friendly Dubai aparthotel is located near the airport, within 1 mi (2 km) of Textile Souk, BurJuman Mall, and Dubai Museum. Grand Mosque and The Dubai Heritage Village are also within 2 mi (3 km).